Despite weeklong claims of US President Donald Trump caving in to pressure, Washington has unleashed the full measure of US sanctions against Iran’s regime. Secretary of State Mike Pompeo informed reporters Friday that, come 12 a.m. ET Monday, all sanctions will return to pre-2015 Iran nuclear deal levers. While a long shot, this policy has potential of reining in Iran’s regime, especially coupled with a highly explosive population and a society described as a powder keg. Since pulling out of the nuclear deal back in May, the US administration has specifically voiced intentions to sanction the regime until Tehran ends its malign activities. On the highly controversial issue of oil sanctions waivers, the Trump administration has intentions to grant temporary exemptions to eight “jurisdictions,” which Pompeo says will receive six-month waivers from US penalties on the condition that they significantly “wind down” oil imports from Iran. What specifically is going into effect? As a result of the 2015 nuclear deal, the Obama administration lifted a slate of sanctions severely curbing the Iranian regime’s economy. The move, considered a major step in appeasing the regime, provided Iran access to crucial markets in Europe and Asia, and the regime gained access to $150 billion in previously frozen oversees assets. When Trump’s administration recalled the first major round of sanctions in May, Tehran was slapped with barriers regarding on Iranian metals, alongside its automotive and airline industries. In this round of crippling sanctions, the regime’s oil and banking sectors will receive major blows – exactly the areas Trump wants targeted. “One hundred percent of the revenue that Iran receives from the sale of crude oil will be held in foreign accounts and can be used by Iran only for humanitarian trade or bilateral trade in non-sanctioned goods and services,” Pompeo explained Friday, adding insult to injury for Tehran. The White House, however, has plans permitting the sales of humanitarian goods —including food, medicine and raw agriculture products — to Iran. Why waivers for certain countries? Washington’s ultimate goal is to have all trading partners zero oil purchases from Iran. Of course, this objective needs time and two of the eight “jurisdictions” receiving exemptions have reportedly agreed to seek other sources “within weeks” and the remaining six have been provided a maximum six-month period to do the same. These jurisdictions “have demonstrated significant reductions in their crude oil and cooperation on many other fronts, and have made important moves toward getting to zero crude oil importation,” Pompeo said Friday. While refusing to identify the eight jurisdictions, Pompeo did clarify that the full European Union would not be one of them. The list will release Monday when sanctions are re-implemented, Pompeo added. The US administration is seeking to keep the Iranian regime from getting cash. This “maximum-pressure” campaign intends to guarantee Tehran does not have the funds to support terror groups checkered across the Middle East, including the Lebanese Hezbollah, Yemen’s Houthis, Shiite militias in Iraq and Syrian dictator Bashar Assad. The White House says the sanctions buildup has already deprived Iran of some $2 billion over the past several months, plunging the regime’s economy into a crisis. And despite claims by a slate of Iranian regime apologists and lobbyists in the West, Washington’s actions “are targeted at the regime, not the people of Iran,” as Pompeo explained. On the same day, Alam Alhoda, Friday prayer imam and the representative of Iranian Supreme Leader Ali Khamenei in Mashhad, resorted to blatant threats of terror attacks across the Gulf region. “If we reach a point that our oil is not exported, the Strait of Hormuz will be mined. Saudi oil tankers will be seized and regional countries will be leveled with Iranian missiles,” he said. Furthermore, in a sign of Iran’s regime becoming extremely concerned about the upcoming sanctions, Tabatabaie-Nezhad, the Friday prayer imam of Isfahan said, “The US will be implementing the second round of sanctions on November 4th. This is the work of the Mojahedin!” referring to the Iranian opposition People’s Mojahedin Organization of Iran (PMOI/MEK). And in what is considered a significant turn of events, Iran’s Guardian Council – comprised of six clerics directly appointed by Khamenei and six others appointed indirectly – vetoed the Financial Actions Task Force CFT (countering the financing of terrorism) convention on Sunday. The FATF CFT adoption was the main condition raised by the EU, Russia, China & India for maintaining financial relations with Tehran. The future of these ties have become all the more controversial. The new US sanctions will make it far more difficult for Iran to obtain money at such desperate times. Despite the European Union’s initial disapproval of Washington’s new measures, a newly foiled terrorist plot by the Iranian regime in Denmark has made matters all the more difficult. Danish officials are seeking EU action after arresting a Norwegian of Iranian descent on charges of actions aimed at assassinating an Iranian dissident on their soil. European leaders are opening the door to sanctions against the Iranian regime in response to terror plots in Albania, France and now Denmark. Despite the need to calm relations with the West, Tehran’s regime understands desperate times call for desperate measures. This is especially true when new US sanctions are destined to suffocate the regime’s economy. Crippling US sanctions are set to kick in early next month against Iran’s regime, targeting its oil and banking sectors. While initially calling for “maximum pressures,” as we speak, the Trump administration is weighing to what extent these measures should push forward in denying Tehran access to the global financial system. There is word that US Treasury Secretary Steve Mnuchin is informing foreign governments that Washington may be stepping back from an onslaught aimed at forcing the Belgium-based financial messaging network, Society for Worldwide Interbank Financial Telecommunications, or SWIFT, to cut off sanctioned Iranian banks, according to the Wall Street Journal. This is a highly important matter as SWIFT, the Society for Worldwide Interbank Financial Telecommunications, is considered part and parcel of Washington’s upcoming oil sanctions on Tehran. If the US were to allow SWIFT continue providing even limited services to the Iranian regime, loopholes would be exploited by Tehran to facilitate money transactions the regime desperately needs. This is why senior US administration officials are calling for sanctioning SWIFT board members should they decide to facilitate such financial transactions for Tehran. If Trump allows Iran access to SWIFT, his measures would not meet the “maximum pressures” litmus test and be weaker than Barack Obama’s actions. The potential SWIFT exemption can be considered as the Trump administration recalibrating their sanctions due to their high severity or even caving in to demands raised by America’s partners in Europe, various observers say. The decision has apparently launched a struggle inside the Trump administration, particularly pinning Mnuchin against National Security Adviser John Bolton, a fierce advocate of tough action against the Iranian regime. While Mnuchin has made hints of his own, Bolton specifically used the term “squeeze Iran” in his recent visit to Armenia. “We are going to squeeze Iran because we think their behavior in the Middle East and, really globally, is malign and needs to be changed,” Bolton said. These remarks are completely in line with Trump’s initial demand of “maximum pressure” against Tehran. Mnuchin was also careful to balance his wording, indicating there has yet to be a final decision on disconnecting the Iranian regime from SWIFT. “Our objective is to make sure that financial institutions do not process sanctioned transactions,” Mnuchin told WSJ. His office is “having very specific discussions with SWIFT,” he added. “I will use all the tools in my power to make sure that sanctioned transactions do not occur.” Humanitarian transactions, however, will be allowed, he added, launching suspicions across the board. Brian Hook, the US Special Representative on Iran, specifically stated the Trump administration’s position in this regard. “Our sanctions do not now, nor have they ever, targeted humanitarian goods. Our sanctions pressure the Iranian regime into changing its behavior and they do not target the Iranian people. The United States does not sanction the export of food or medicine to Iran,” Hook said at a July 2 press briefing. While it would be more effective for the Europeans to be aboard US sanctions on Iran, as some argue, all countries will eventually realize it is in their interest, and the world’s, to impose heavy measures against the Iranian regime. After all, which CEO in his/her right mind would jeopardize their future of doing business in the US $19 trillion economy for the sake of preserving business with the Iranian regime’s $400 billion economy? Especially considering the fact that Supreme Leader Ali Khamenei and the notorious Revolutionary Guards (IRGC) control a large portion of Iran’s economy. There is also talk of European governments retaliating to develop what has been described as a “special purpose vehicle” in the case of US sanctions becoming too severe. This mechanism, being largely symbolic, aims to protect European corporations from damning US sanctions. “Europe’s much-vaunted ‘special-purpose vehicle’ for trading around US financial sanctions, announced last month, is expected to be little more than a glorified barter arrangement with limited scope,” according to another WSJ article. In the overall discussion of preventing any loopholes, Trump administration officials are also seeking measures against firms, such as Turkey’s Halkbank, for assisting Iran bypass and violate sanctions. In this regard, persuading Ankara to restrict Tehran’s measures is merely a minimum objective for Washington. The main aim is to prevent Iran from escaping penalties in the face of tough US sanctions and Washington would prefer its allies not resorting to rearranging international financial systems. It is a known secret that Trump seeks to impose severe sanctions against Iran, reminding the world most recently about his intentions while adding further sanctions will be added even after November 5. Bearing in mind the fact that Iran was told to brace for a “full snapback” of sanctions, analysts believe Trump will settle for nothing less. Washington is also seeking to impose increasingly tough sanctions to portray the number of Iranian companies, including so-called humanitarian organizations, are in fact associated to the IRGC. The US Treasury Department has blacklisted the IRGC as a terrorist group, while the State Department has yet to list this entity as a Foreign Terrorist Organization. A measure necessary in line with Trump’s “maximum pressure” policy. Various observers are describing any exemption provided for Iran, especially in regards to SWIFT, as “caving” in to the Europeans. The Iranian regime suffered a damning blow back in 2012 when the Obama administration cut off its access to the SWIFT. The Iranian regime has recently moved up its fall military exercises, due to the re-imposition of US sanctions as they say, and test fired a short-range ballistic missile. This launching comes after a pause of more than a year. On Monday, Iranian Supreme Leader Ali Khamenei placed what may be a nail in the coffin for any possible negotiations between his regime and the Trump administration. Parallel to this, while making much lesser noise in the media, is the second return of ten batches of 20 percent enriched uranium that Iran sent to Russia under the 2015 nuclear accord. 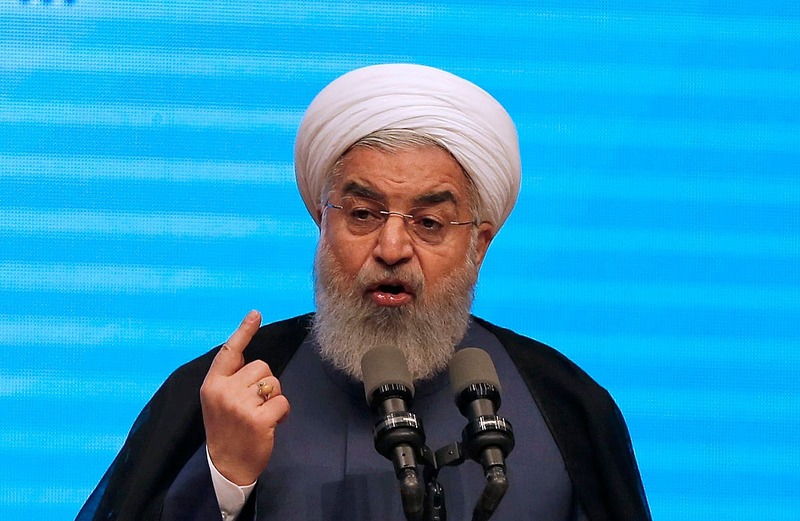 Iran claims this highly sensitive nuclear material is needed to fuel Tehran’s Research Reactor and threatens to restart the 20 percent uranium enrichment cycle if the deal goes south. 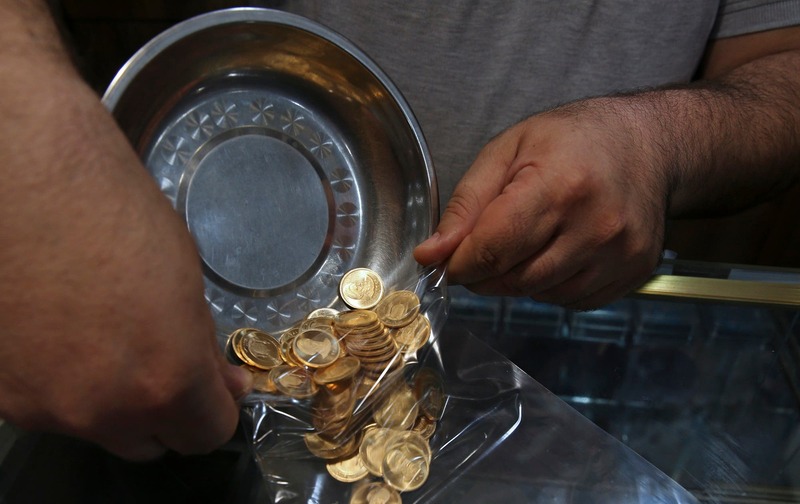 All the while, Iran’s ultraconservative Guardian Council, answering only to Khamenei, has signed measures to bring the regime a step closer to international anti-money-laundering standards. What is the reasoning behind these two threats and one concession? Having the final call on all on all state matters in Iran, especially national security and foreign policy, Khamenei silenced any talk for negotiations with the U.S. From his remarks it is obvious that the Iranian regime is hoping to somehow live through US President Donald Trump’s first term and hope for him to not be reelected. Back home, with a recent short-range ballistic missile test launch Iran is obviously sending a message to Washington regarding the sanctions. Iran test-fired a missile immediately after Trump came into office. This prompted the famous “on notice” remarks from former National Security Advisor Michael Flynn and the Trump administration slapping sanctions against the Iranian regime, signaling the new White House would not tolerate such behavior. Tehran is returning to such practices as US sanctions bear down hard, parallel to protests across the country gaining momentum. Even weekend football matches are turning into scenes where people are chanting “Death to the dictator” in reference to Khamenei, as seen vividly in Ahvaz and Tehran in the past few days. US sanctions re-installed last week are taking Iran out of the US dollar market, shutting down their access to gold and other precious metals such as aluminum, steel and graphite, automobiles and etc. Extreme sanctions against the Iranian regime’s energy and banking sectors are set to return in November, with the high potential of an already severely struggling economy completely crumbling. As we speak the country’s currency, the rial, is becoming valueless and all businesses are turning to the black market. Feeling cornered, will the Iranian regime live up to its threat of blocking the Strait of Hormuz where nearly one-third of the world’s seaborne oil trade passes through? After its first 18 months the Trump administration has shown it will consider such measures as an act of war. “If the block the Strait of Hormuz we would literally take out all their military on the Strait of Hormuz,” said Ret. Gen. Jack Keane to Fox News recently. 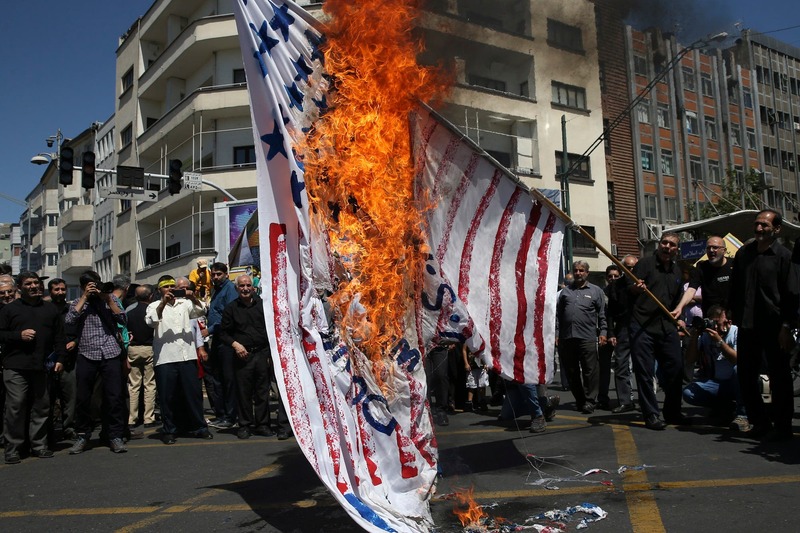 Rest assured the Iranian regime does not wish to instigate a conflict with the US For nearly 40 years now Iran has constantly used proxy forces to attack the US and its regional allies, specifically avoiding direct confrontation through their military. Iran, under growing threats, is known to resort to face-saving measures. As international pressures escalate and facing a restless nation, the Iranian regime desperately needs to maintain a strong posture. Behrouz Kamalvandi, spokesman for the regime’s Atomic Energy organization, reported recently the returning of a second batch of 20 percent enriched uranium sent to Russia under the 2015 nuclear accord inked by the Obama administration and nixed by Trump back in May as promised during his presidential campaign. “If the nuclear deal remains alive, the other sides should sell us the fuel and if the nuclear deal dies, then we would feel unimpeded to produce the 20% fuel ourselves,” Kamalvandi threatened, according to the semi-official Fars news agency, known to be associated to Iran’s Revolutionary Guards (IRGC). He continued his threatening remarks of Iran being entitled to resume production of 20 percent enriched uranium in 2030. Furthermore, Iran has reopened a nuclear plant recently after remaining idle for nine years. What shouldn’t go missing is the Iranian regime’s necessity to make such threats being very telling in and of itself. These are signs of a regime in crisis mode and needing to maintain a poker face, knowing their hand has nothing to offer while rivals are breathing down their neck with a full house. It is, however, crystal clear for the Iranian regime that such a trend of ongoing threats cannot continue. Long gone are the Obama years when Tehran open-handedly imposed its will and continued to wreak havoc across the Middle East while advancing its nuclear and ballistic missile programs, all aligned with a ruthlessly repressive domestic crackdown machine. For example, Iran is now heavily investing on deepening an Atlantic rift between the US and Europe. And with the European Union demanding Iran comply with anti-money-laundering standards specified by the Financial Action Task Force (FATF), a senior body linked directly to Khamenei is approving measures to place the regime more in line with the globally recognized norms. Iran is now in desperate need of foreign investments as US sanctions begin to such dry the regime’s access to the global financial market. The FATF, considered the world’s financial-crime watchdog, had in June provided the Iranian regime until October to impose reforms or face drastic consequences. The main definition of FATF restrictions for the Iranian regime is defined into the hampering of Tehran’s financial support for terror groups, including the Lebanese Hezbollah and others. This has the potential of severely crippling the regime’s influence throughout the Middle East. Back in June Khamenei called for domestic laws to tackle money laundering inside the country, in an attempt to safeguard the flow of financial support to its proxies abroad. Recent development go to show how dire circumstances are leaving Khamenei no choice but succumbing to such humiliating terms. Desperate times call for desperate measures. 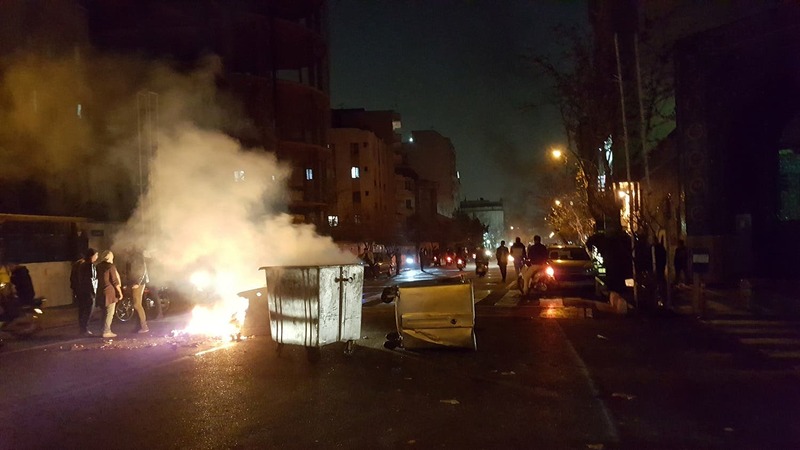 We are only one week into the return of US sanctions and protests across Iran have been gaining continuous momentum ever since the Dec/Jan uprising. Tehran on Saturday and Sunday witnessed the shoe market going on strike as store-owners were protesting high prices and the scarcity of raw material. The impact of new sanctions will continue to sink in deep, weakening the regime in the face of expanding protests. Prior to November the Iranian regime will be on its knees. The speech delivered by US Secretary of State Mike Pompeo on Sunday evening at the Reagan Library in Los Angeles can be described as yet another nail in the Iranian regime’s coffin. It is hard to recall the last time the leaders of a regime were compared to the “mafia,” as Pompeo did in his description of the clerics sitting on the throne in Tehran. It is only fair to say Pompeo has escalated his Iran ante suggestively after his May speech where he outlined the Trump administration’s new strategy vis-à-vis the Iranian regime and summarized it in 12 conditions Tehran must adhere to. With the rial plummeting further against the US dollar, water and electricity shortages rendering further public dissent, and a new round of truck drivers’ strike launching on Monday, Iran’s domestic calamites are dangerously coupling with its escalating foreign isolation. A disaster is in the making for the regime. "The level of corruption and wealth among regime leaders shows that Iran is run by something that resembles the mafia more than a government," said US Sec of State Mike Pompeo. After decades of enjoying full-fledged appeasement from various administrations in the United States and the West in general, Iran’s regime is facing a White House like none other. Officials in Iran described the Obama years as the “golden era.” Nowadays, the circumstances are in deep contrast to what Tehran desires and needs to continue its domestic crackdown and foreign adventures. “Despite the regime’s clear record of discretion, America and other countries have spent years straining to identify a political moderate; it’s like an Iranian unicorn! The regime’s revolutionary goals and willingness to commit violent acts haven’t produced anyone to lead Iran that can be remotely called a moderate, or a statesman,” he said. This was a severe blow to Iran apologists continuing to claim reform from within this regime is possible. Pompeo resorted to the term of “merely polished front men for the ayatollahs’ international con artistry” when dismissing Iranian President Hassan Rouhani and Foreign Minister Mohammad Javad Zarif. “40 years of fruit from Iran’s Islamic Revolution has been bitter. 40 years of kleptocracy. 40 years of the people’s wealth squandered on terrorism. 40 years of Iranians jailed for expressing their rights,” he explained. The “mafia” ruling Iran is also known for its horrific practice of supporting terrorism and sponsoring extremist groups to fuel sectarian strife across the Middle East and export crises across the globe, including Europe. As we speak Iran is going the distance to have a Vienna-based “diplomat” – arrested recently in connection to a bomb plot targeting the Iranian opposition “Free Iran 2018” convention in Paris – returned to Vienna. Pompeo referred to this case in his speech and made an interesting conclusion about the regime. In May, US President Donald Trump pulled out of a 2015 nuclear pact, supposedly aimed at curbing Iran’s nuclear weapons ambitions. Trump had always described it as the worst deal in the world and lived up to his campaign promise of tearing up the accord. Ever since US sanctions have been returning and an armada of foreign companies, including the likes of Total, Siemens and Boeing, to name a few, are ending their business with the Iranian regime. Seeing its lifeline of oil exports threatened, Rouhani and Iranian Supreme Leader Ali Khamenei made a series of retaliatory threats in response to imminent US embargoes. What they received was unexpected, to say the least. Placing this alongside Pompeo’s strong speech on the same day once again bring us to this conclusion that Iran’s regime understands only a firm language. The Trump administration has been implementing such a viewpoint, especially through meaningful sanctions that promise to make Tehran think twice about how to trek forward. A look at Pompeo’s recent speech, the 12-conditions he placed before Tehran in May, and how the stakes are escalating following Trump’s response to the Iranian regime’s threats, it is safe to say the changes we are witnessing and the road ahead are of historic proportion. “While it is ultimately up to the Iranian people to determine the direction of their country, the United States … will support the long-ignored voice of the Iranian people,” Pompeo said. Obama turned his back on the Iranian people back in 2009 and the rendered results continue to plague us globally. Trump is not making that mistake. The sheer fact that Washington has decided to listen to the Iranian people inside the country and abroad is a nightmare turning into reality for Tehran’s rulers. The Iranian Diaspora held a massive rally on Saturday in Paris where a long slate of international political figures from both sides of the Atlantic, the Middle East and beyond joined a huge crowd to voice their support for regime change in Iran. The rally was spearheaded by the Iranian opposition coalition National Council of Resistance of Iran (NCRI) and its pillar member, the People’s Mojahedin Organization of Iran (PMOI/MEK). Iranian opposition leader Maryam Rajavidelivered a speech highlighting how the Iranian regime is engulfed in unprecedented internal crises with protests mushrooming out of control across Iran. On the very day of this convention, videos on social media showed intense clashes and skirmishes between protesters demanding drinking water and authorities opening fire on demonstrators in the city of Khorramshahr in southwest Iran. Up to four protesters were reportedly killed. On an international scale, the clerics are witnessing an end to the appeasement policy in the US with Barack Obama no longer in office. This has left the Iranian regime vulnerable without their safeguard shield, especially after US President Donald Trump pulled his country out of the Iran nuclear deal and sanctions are returning at a pace very alarming for Tehran. “The overthrow of this regime inevitably requires the willingness to pay the price, requires honesty and sacrifice; requires an organization and a strong political alternative, and requires resistance units and a liberation army,” Rajavi said, emphasizing on the unique characteristic her movement enjoys, and others claiming to support regime change lack. “This government is about to collapse, and this is the time to turn on the pressure,” said Mayor Rudy Giuliani, a Trump advisor and attorney, at the rally. 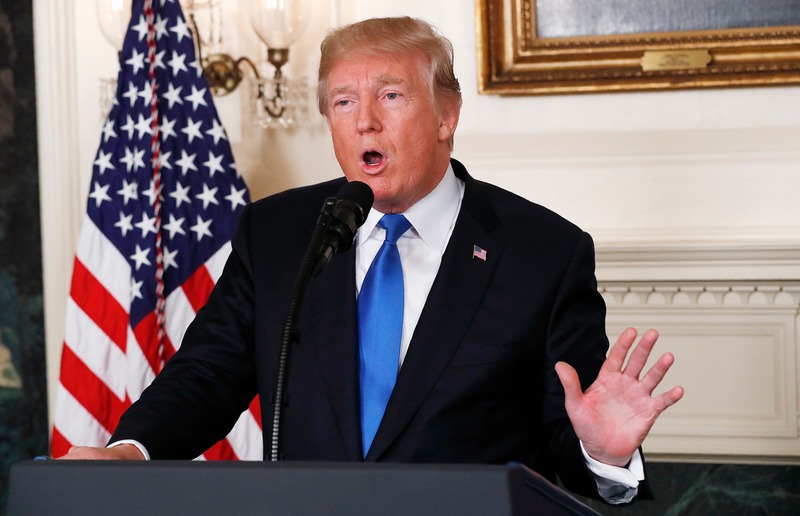 He went on to express his support of Trump reinstalling sanctions on Iran and emphasize, “Trump doesn’t turn his back on freedom fighters.” This sending a clear message to the brave protesters inside Iran seeking to realize regime change. Saturday’s podium also witnessed former US House Speaker and informal Trump adviser Newt Gingrich, former FBI Director Louis Freeh, former US ambassador to the United Nations Bill Richardson, former Canadian Prime Minister Stephen Harper, five British MPs, a former French prime minister and former foreign minister. Speculations are growing of Trump seeking to force the Iranian regime into a new round of negotiations based on his terms, and US Secretary of State Mike Pompeo placing 12 highly costing demands before Tehran. Speakers on Saturday were also heard voicing different opinions. “Our goal is very simple. It’s not to start negotiating. Our goal is to have a free and democratic Iran that respects the rights of every individual,” Gingrich said. “Today, you have an administration which understand reality, which is determined to stop the dictatorship, which is increasing the sanctions, and which I predict every single month will get tougher and tougher,” he added. Former Senator Robert Torricelli, an influential voice from the Democratic Party, indicated how the position on Iran’s regime is a completely bipartisan matter in the US. Salman al-Ansari, founder and President of the Saudi American Public Relations Committee, also voiced his support for the Iranian people’s struggle. Major fire seen in the city as skirmishes continue. With Iran suffering from escalating poverty, unemployment, shanty dwelling, severe water shortage and environmental crises, the regime’s future seems further bleak under this mountain of calamities. As internal political disputes increase and with knowledge regarding this regime’s nature of plundering the country’s wealth, it has become quite obvious the days of these clerical rulers are numbered. The Iranian people have the right to regain their sovereignty after this current regime hijacked the 1979 revolution and open the gates of hell to this country, and the entire Middle East throughout the past 40 years. Adding insult to injury for the Iranian people, this regime has benefitted from decades of appeasement by western governments seeking their own economic interests. The Iranian opposition have alongside the people of this country been the main victims of this policy. Today, however, with the Iranian people rising for their rights throughout the country, and the mullahs no longer having the support they enjoyed during the Obama years, the end of their rule, and freedom and democracy being established in this country is becoming an ever more realistic scenario. Following the regime’s inevitable downfall, the first order of duty will be transferring power to the people. NCRI President Maryam Rajavi, known for her well-supported ten-point plan for Iran’s future, underscored yet again on this necessity for a free and democratic Iran of tomorrow. The historic meeting between the leaders of the United States and North Korea, and the resulting Korean Peninsula denuclearizing deal, has the potential of resolving a decades-old international crisis. This very important development will most definitely have its impact on another flashpoint in today’s world, being the Middle East, and most importantly, Iran.